Today is Sunday, and nothing is happening — just more of the waiting game. Nothing is open in town anyway, as most Gizo residents go to church service for the entire day, and spend the rest of the day with family. None of us are talking about what might happen tomorrow, although it is certainly on all of our minds. At this point, we have been delayed and held for so long that there is no point in speculating on the odds of various scenarios. Instead, we are just occupying ourselves with smaller chores to pass the time. Since we each have only one good set of clothes, we had to wash and dry them immediately after each session in court, so they would be ready for the next day. Even our lawyer admitted that she only brought two outfits and had worn both twice. Yoji said his wife told him, “If you are not back by Christmas, I am coming down there with the kids.” Talk about devotion! But, he warned, “If she comes, it will be like Godzilla on Gizo if she is angry!” We all laughed at this idea. Speaking of Godzilla, in the original movie, it begins with natives dancing around a fire and observing the creature, Godzilla, emerging from the sea. The caption reads, “Fauro Island.” This is the large island to the east of Ballale and the Shortland Islands. So, it is possible that the creator of Godzilla was in the Japanese military in the Shortlands! Reportedly this area was also James A. Michener’s inspiration for the tropical paradise island in his book Tales of the South Pacific — one of my favorites. Better known is its musical adaptation, South Pacific. 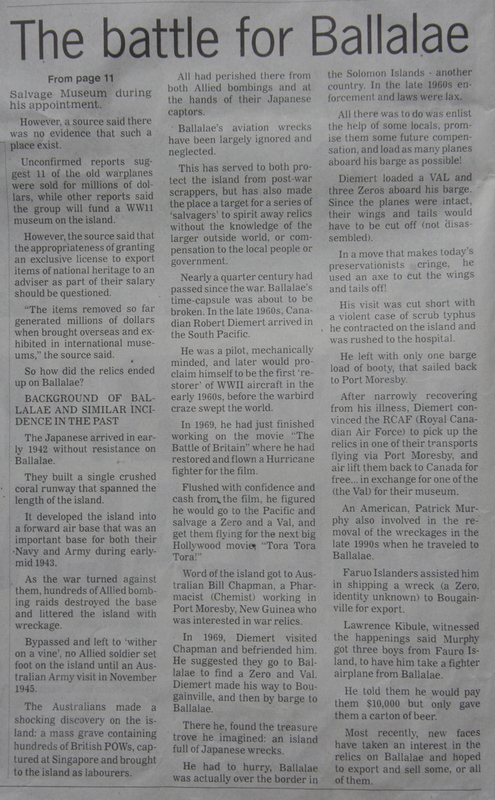 In his book, the name Ballale became Bali’Hai. The island that actually inspired him is in present day Vanuatu (formally the New Hebrides), but according to Michener that island’s name did not sound pretty, so he renamed it in his book. He knew that Ballale would be known as an American target, so he adapted that name to Bali’Hai. So, there are some popular culture references to these remote islands behind all of this. 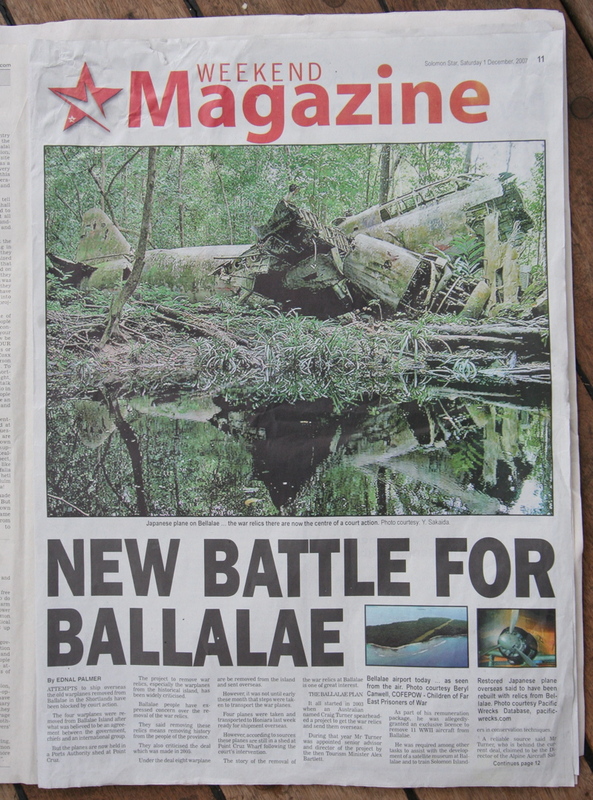 By the way, there are at least three common spellings for the real island: Ballale (the Allied spelling during WWII), Ballalae (the local spelling), and Ballali (an alternate spelling). No matter how tough we feel we might have it, our hardships pale in comparison to what the young men of America, Japan, and the Solomon Islands experienced here in 1943. If you know someone from the Greatest Generation, ask them if they know names like New Georgia, Kolombangara, Kula Gulf, Vella Lavella, or maybe even Gizo. To the east of where our boat is moored in detainment is a small, circular island known as “Plum Pudding Island”. I can see it from the back deck of the boat, and probably take a photo of it everyday. The island is hardly spectacular, but it is forever tied to American history and politics. This is the island to which Lieutenant (Junior Grade) John F. Kennedy swam after his ship, PT-109 was rammed and sunk, and then swam back and forth repeatedly to rescue his shipmates. Alone, he searched for friendly locals, and found three. He carved a message into a coconut and asked them to get it to the Allies. Since JFK became president, the island has become better known as Kennedy Island. 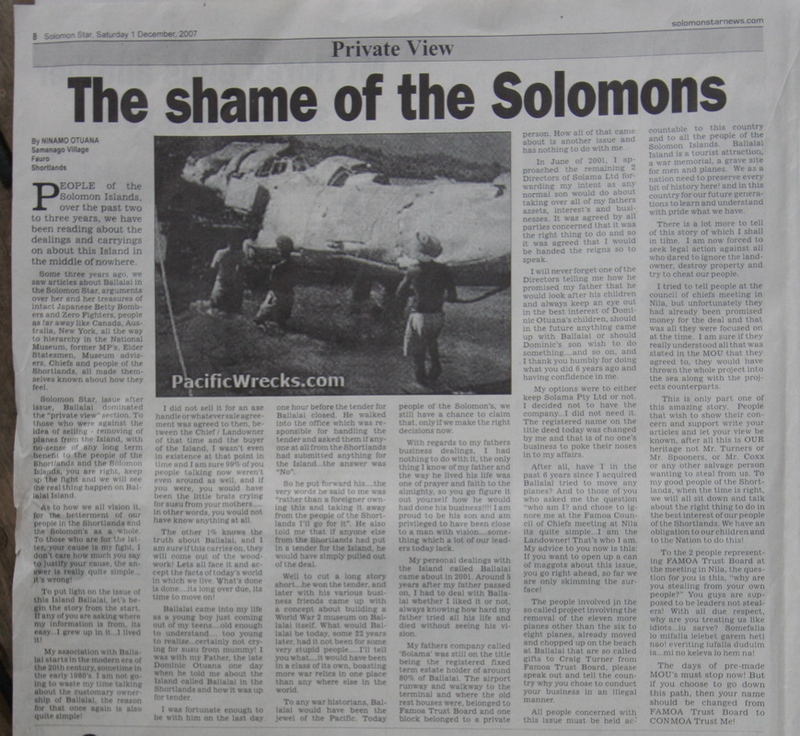 One of the three Solomon Islanders he found is still alive today. Imagine the what-ifs: What if those men had decided to report him to the Japanese, who offered rewards for prisoners. Behind us is a large, dormant volcanic island, Kolombangara. This massive island is beautiful, but it is not hard to imagine that, when this cone was active, the area would have been hell on earth. Now long dormant, the magma chamber has collapsed, leaving a jagged crater at the top of the otherwise round, cone-shaped island. The summit is usually obscured by low clouds, and only occasionally is the peak fully visible. Anyone who has seen a real volcano, active or dormant, knows that there is a real, primal sense of awe felt in its presence. During WWII, Kolombangara was the site of many battles, including the Naval Battle of Kula Gulf and countless Japanese resupply missions, dubbed the “Tokyo Express,” landing reinforcements there. An abandoned Japanese airfield is on the south coast, and many guns and tunnels from the war remain to this day. In the sky above us, a furious dogfight took place on January 31, 1943. On that mission, USMC Wildcat fighters escorted dive bombers to an attack on a Japanese ship, the Toa Maru II. Japanese seaplanes and Ki-43 Oscar fighters escorted the ship. One of the pilots in the air was a young Marine, Jefferson Deblanc. Against great odds, he fought a furious battle with a damaged fighter. After claiming several enemy aircraft, he bailed out and made a lucky escape back to friendly lines. For this action, he later earned the Congressional Medal of Honor, America’s highest military award. Sadly, Mr. Deblanc passed away recently. I never got a chance to meet him, but have stared into the open sky where he fought not so long ago. The Toa Maru II was indeed sunk in that attack, and its wreck is a popular dive for scuba divers to this day. No matter what else is on my mind, I still find myself day dreaming about history and the Americans who were once here. Around here, you do not need much imagination, as the skyline and terrain — and in some cases relics — remain untouched by the passage of time.